A tale of a dive day: a winter trip to Cornwall. 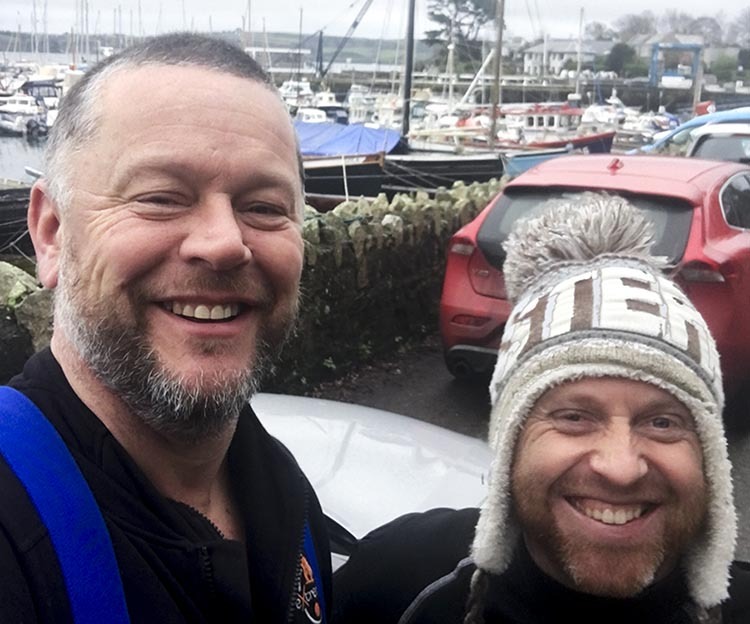 Here is a blog written by Scuba Blue's first homegrown Divemaster (and soon to be Instructor), Andy Bluffield. 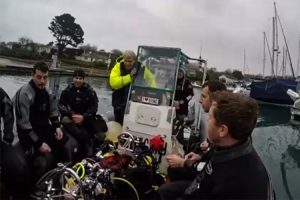 Well just as I thought the 2018 diving season was over I got a call from Scuba Blue's ace photographer and videographer Tony Reed asking if I was up for a dive out of Falmouth with Atlantic Scuba. Well of course I was, I couldn’t think of a better way to help work off the Christmas mince pies and finish off the year in style. A 5:30 am alarm call lead to a bleary-eyed meeting with Tony for our lift share down to Cornwall. After a quick Costa coffee, we made good time on the quiet post-Christmas roads and arrived in good time for a pre-10:00 am ropes off fry up in the Mylor Cafe (so much for working off the mince pies!). We met up with skipper, Mark Milburn, owner of Atlantic Scuba on the jetty. He was wearing shorts (brrrrr), a smile and carrying a jerry can of two stroke. Mark's knowledge of the local area is outstanding; there are few who can match his intimate knowledge of Cornish diving. Nothing was too much trouble when it came to making sure we had a great day - a freshly filled cylinder awaited Tony, who had been diving the previous day and been unable to get a fill beforehand (there are those who say he spends more time below water than above it!). After a smooth trip out to the Manacles reef, Mark shot the wreck directly over the boilers enabling us to drop straight onto the SS Mohegan. This ship sank in tragic circumstances in 1898 with the loss of 106 passengers and crew after making a navigational error which drove her onto the Manacles. As we descended onto the wreck, three huge boilers came into view. Visibility was over 5 metres and surface conditions screamed: “jump in, the waters lovely”. Swimming above the boilers you could see breaks in the skin and also notice that the middle boiler is, in fact, two smaller boilers back-to-back. These were covered in the life typically found on a UK dive. Most of the wreck is well broken up and cross sections are covered with an abundance of pink sea fans which hold out their arms perpendicular to the current to catch their current-borne food. It was then back to Falmouth for a cylinder swap. Mark runs a rib which, although very comfortable, means that space is at a premium. After a quick turnaround, albeit with plenty of time for a hot chocolate, we were back on our way out to dive the Maerl beds. This was my first experience of these beds and "Wow, just Wow". Tony had told me to expect a floor of red twiglets that just went on and on and filled with life. His description was spot on. Mearl is a term for a seabed densely covered by several species of red, hard skeletoned, seaweed, It is rock hard and, like most red seaweeds, needs lots of light to thrive so tend to be found in well lit, shallow waters. The beds at Falmouth are huge and the conditions are perfect due to a tidal flow that removes fine sediment but isn’t strong enough to break up the brittle maerl branches. Within these beds, layers of dead maerl build up with a thin layer of pink, living maerl on the top. Mark explained how Mearl beds are such an important habitat for many different types of marine life that live amongst it and told us how it can be of importance to sustainable fisheries, providing nursery grounds for commercial species of fish and shellfish. It’s clear to see how the beds could be easily damaged and have declined substantially in some areas. Pressures on maerl beds include scallop dredging, bottom trawling, aquaculture and pollution. They are very slow to develop and are unlikely to return if removed or lost. 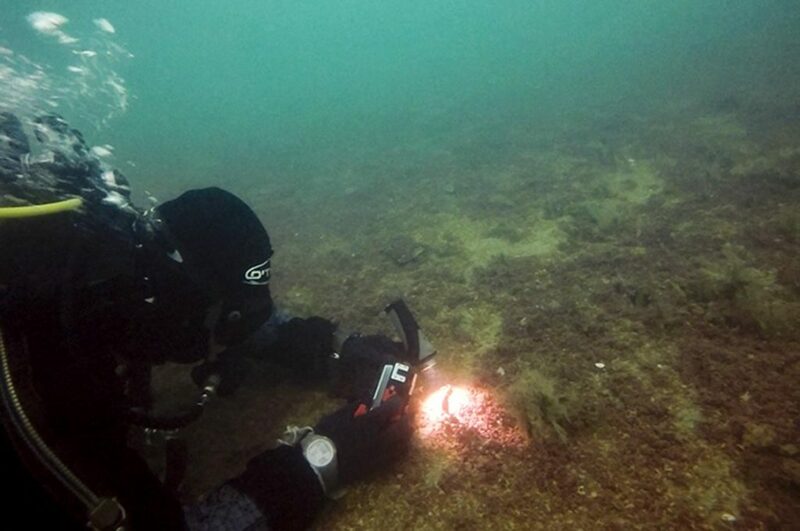 The site is one of the largest maerl beds in south-west Britain and it was a privilege to dive them. Despite being an experienced UK diver I know there are always new places to go, wrecks to explore, and underwater environments which are globally rare to investigate. This was a great day but not untypical of what we lucky UK divers get to explore. If you are inspired to go on a similar trip, advance your training or even learn how to dive, get in touch with Scuba Blue. We love meeting other divers, training people to become divers and helping them to keep diving. Check out our dive club. 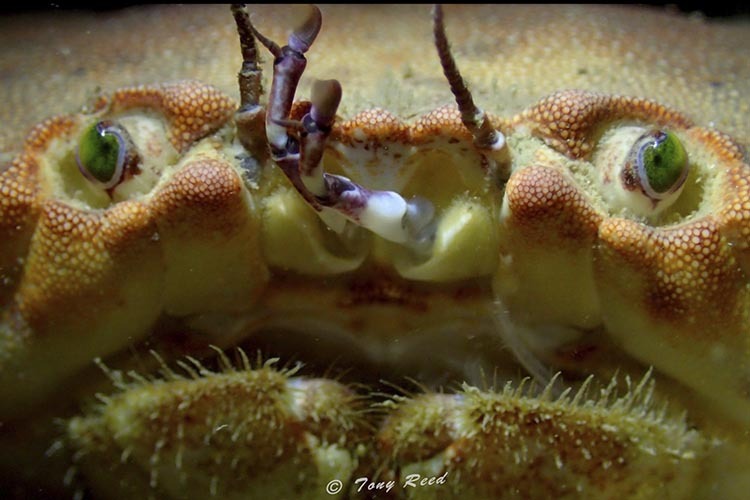 Check out more of Tony Reed's pictures at Cheap and Cheerful Photography and Videography and Mark Milburn's dive centre in Falmouth, Atlantic Scuba.